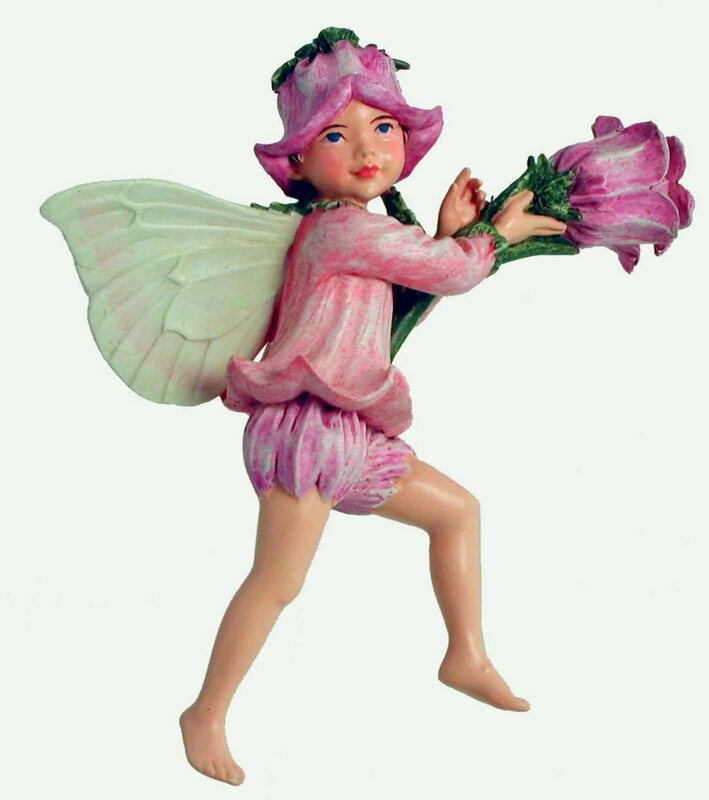 Beautifully hand painted Canterbury Bell Flower Fairy figurine. Optional gold string and wire pick included for securing in your display. Individually packaged in its own window display box that includes a biography of the artist, Cicely Mary Barker. On warm summer nights, the Canterbury Bell Fairy sets his flowers swaying. Ding-dong-ding, the bells ring out over the gardens and the countryside, calling the fairies to sing. Fairies enjoy human music. You can lure fairies into revealing themselves by sitting very, very still and stoftly singing the sweetest ballad you know. Although terribly shy, fairies are extremely curious and flock to learn new songs.